The world of cruise parent companies can be mind-boggling. You may not know it, but Carnival Corporation owns not only Carnival Cruise Lines, but Holland America, Princess, Seabourn, Windstar, Costa, Cunard, and other international lines. But the giant corporation is soon to be one cruise line short, when it sells Windstar to Ambassadors International (the parent company of river-cruise specialist Majestic America Line). Holland America will continue to operate Windstar during a transitional period, but cruisers shouldn’t detect many changes when the management switch occurs. Ambassadors International plans to honor current pricing, and guests already booked on 2007 cruises should assume that the sailings will take place as scheduled. 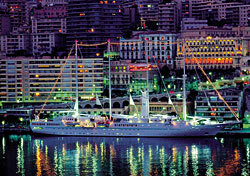 Loyal Windstar sailors may notice some differences down the line, but as David Giersdorf, president of Majestic America Line, used to work for Windstar, you can rest assured that this new owner is committed to maintaining Windstar’s commitment to casual elegance and a luxury experience.